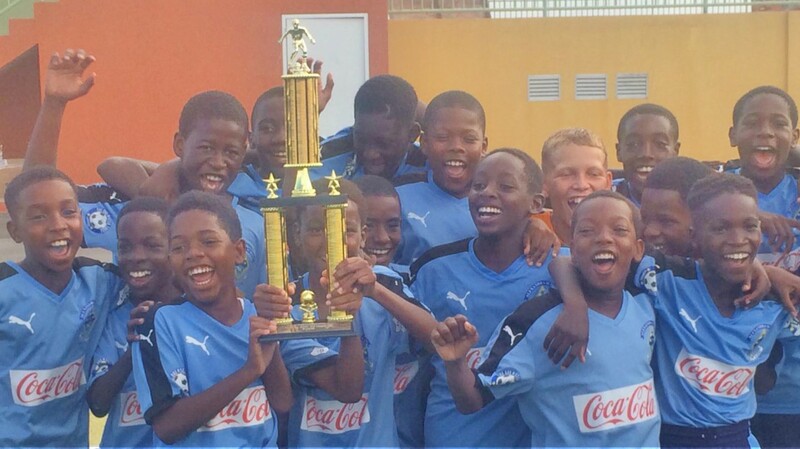 The triumphant Alexandra School team. Aaron Cumberbatch created history yesterday at the Usain Bolt Sports Complex. 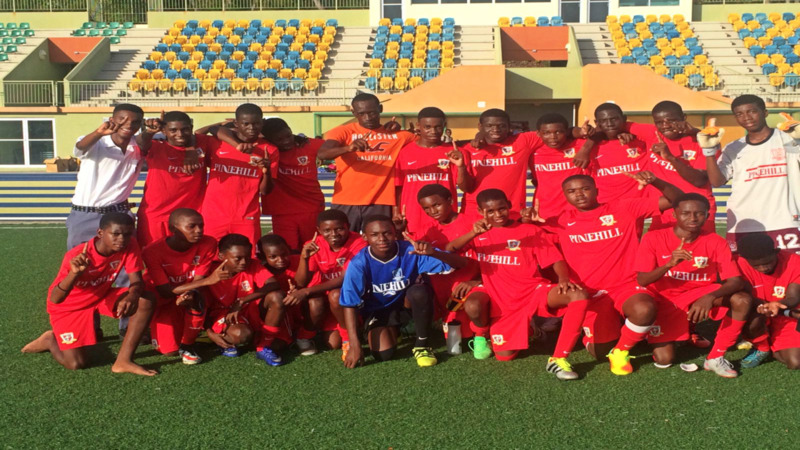 The second form Alexandra student became the first player to score three goals in a school league final to help his school football team blank defending champions Pine Hill St Leonard’s 3-0 in the Barbados Secondary School Football League (BSSFL) U14 final. Alexandra’s victory secured a brilliant, unbeaten season and more significantly a victory over their nemesis from Richmond Gap, who would have enjoyed the better of the many exchanges in the past. Cumberbatch made his intentions clear early in the encounter, giving Alexandra the lead in the 10th minute. Alexandra’s lead was doubled in the 16th minute and Cumberbatch sealed the victory in the 28th minute to take the title to the North. 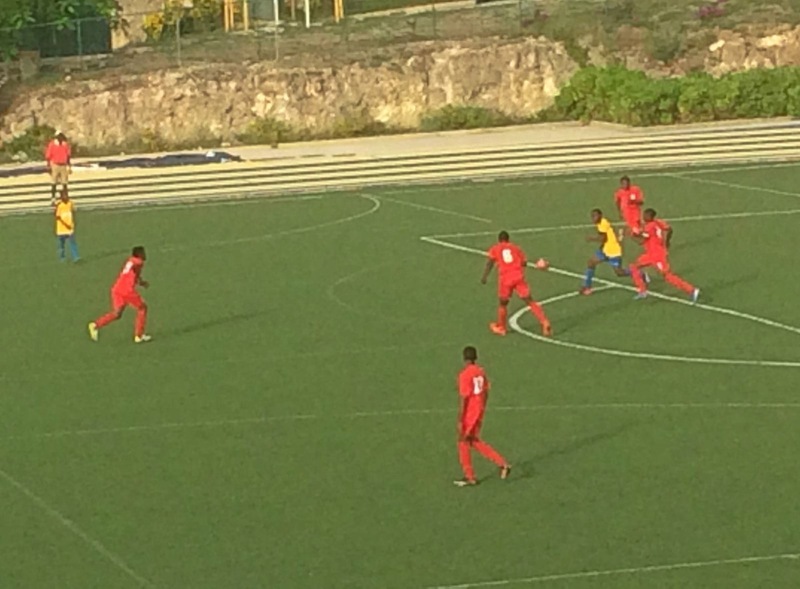 Earlier in the evening in the third place playoff, The St Michael School edged Queen’s College 1-0, courtesy of a goal from Josiah Parris in the 22nd minute.